The Cisco Aironet 2700 Series of Wi-Fi access points (APs) delivers industry-leading 802.11ac performance at a price point ideal for plugging capacity and coverage gaps in dense indoor environments. The Aironet 2700 Series extends 802.11ac speed and features to a new generation of smartphones, tablets, and high-performance laptops now shipping with the faster, 802.11ac Wi-Fi radios. The Aironet 2700 series supports 802.11ac “Wave 1” In its first implementation, providing a theoretical connection rate of up to 1.3 Gbps. That’s roughly triple the rates offered by today’s high-end 802.11n APs. The boost helps you stay ahead of the performance and bandwidth expectations of today’s mobile worker, who usually uses multiple Wi-Fi devices instead of just one. As such, users are adding proportionally larger traffic loads to the wireless LAN, which has outpaced Ethernet as the default enterprise access network. - 802.11ac with 3x4 multiple-input multiple-output (MIMO) technology supporting three spatial streams. This architecture offers a sustained 1.3-Gbps rates over a greater range for more capacity and reliability than competing APs. - Cross-AP Noise Reduction, a Cisco innovation that enables APs to intelligently collaborate in real time about RF conditions so that users connect with optimized signal quality and performance. - Optimized AP Roaming to ensure that client devices associate with the AP in their coverage range that offers the fastest data rate available. - Cisco ClientLink 3.0 technology to improve downlink performance to all mobile devices, including one-, two-, and three-spatial-stream devices on 802.11ac. At the same time, the technology improves battery life on mobile devices. - Cisco CleanAir technology enhanced with 80MHz channel support. CleanAir delivers proactive, high-speed spectrum intelligence across 20-, 40-, and 80-MHz-wide channels to combat performance problems due to wireless interference. - MIMO equalization capabilities, which optimize uplink performance and reliability by reducing the impact of signal fade. 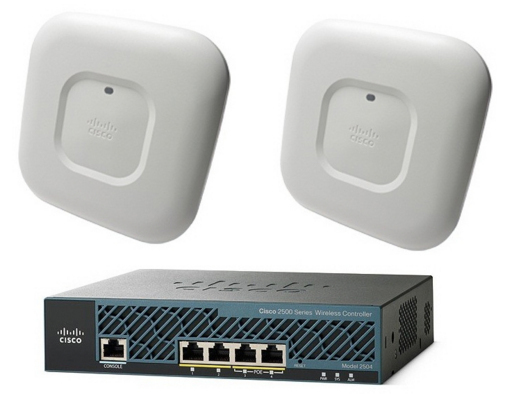 - The Cisco Aironet 2700 Series sustains higher-speed connections farther from the AP than competing solutions. The result is up to three times greater availability of 1.3-Gbps rates in the Cisco environment for optimum mobile device performance and user experiences. 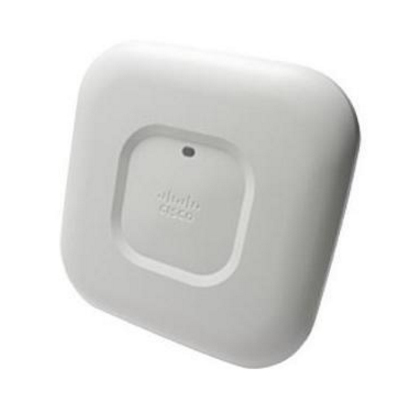 The Cisco Aironet 2700 Series is a component of the Cisco Unified Wireless Network, a foundation for operating both wired and wireless LANs in an integrated manner. The Unified Wireless Network can scale to as many as 18,000 APs with full Layer-3 mobility across locations on the enterprise campus, in branch offices, and at remote sites. The Cisco Unified Wireless Network delivers highly secure access to mobility services and applications. It offers the lowest total cost of ownership (TCO) and investment protection by integrating smoothly with existing wired networks.